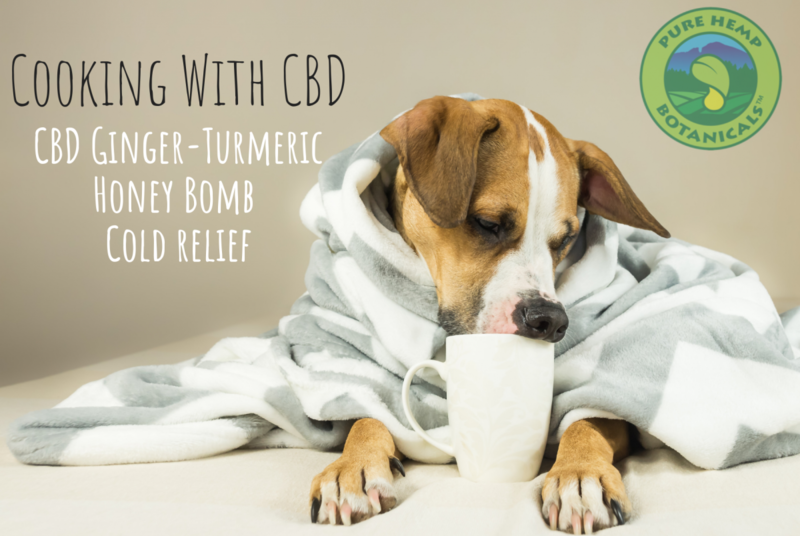 Cooking With CBD: Ginger-Turmeric Honey Bomb For Cold Relief! 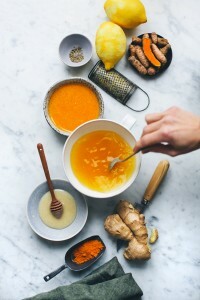 Home/Healthy Lifestyle, Recipe, Tincture/Cooking With CBD: Ginger-Turmeric Honey Bomb For Cold Relief! Well, ladies and gentlemen, the cold season is upon us and with it the cold and flu season. It’s already hit in our house and I took one for the team (you’re welcome everyone.) I tested a handful of non-alcoholic cold relief drinks to see which one actually brought on the most relief! I’ve picked my favorite for all of you to file away for future use, hopefully REALLY far in the future. Stir together all ingredients in a bowl. Taste and add more ginger or turmeric if needed. Aim for a really strong flavor, you’ll only add a few teaspoons to a cup of water. Store the Ginger & Turmeric Honey Bomb in a glass container for use anytime. Boil a cup of water and let slightly cool (to keep the benefits from the honey intact), stir in a few teaspoons of the honey mixture and add in the Pure Hemp Botanicals Tincture. 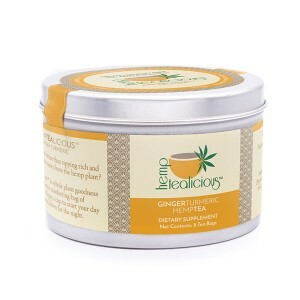 For added flavor, I actually brewed Ginger-Turmeric Hemptealicious instead of just using water and it was AMAZING.